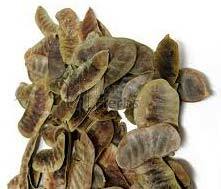 We have garnered reputation as the Supplier and Exporter of Senna Pods from Telangana, India. Sourced from premium vendors, our Senna Pods are effectively used for making medicines to treat digestive problems. Though available in fixed packaging sizes, we can also customize the order of Senna Pods to suit customer’s requirement. Customers from India, Europe, USA, etc. can avail our Senna Pods at minimal rates.